Agricultural buildings often have special grading and site preparation requirements and on a much larger scale. All agricultural buildings need a level site and often a concrete foundation. 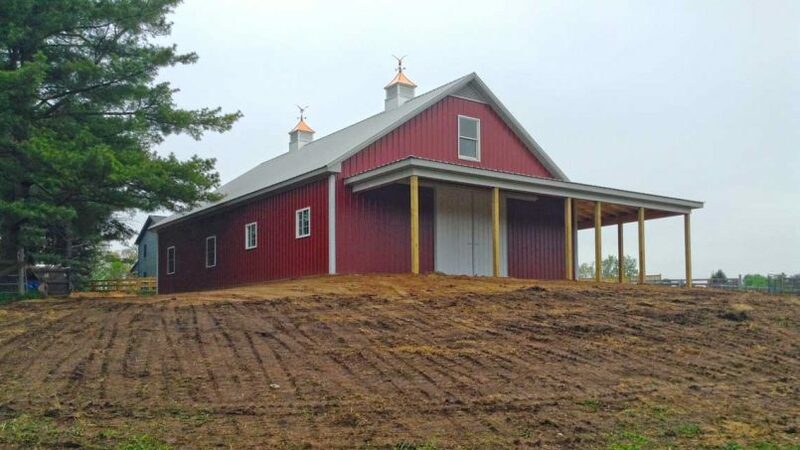 Pole barns are a popular agricultural building because of the ease of construction and simplicity of the build. Pole barns do not have a fixed foundation but have poles set in concrete along the perimeter of the building. Site preparation for pole barn in an agricultural application. Properties with slope can be regraded or you can take advantage of the slope to create a multilevel agricultural building. This is often advantageous because the building can have ground access on more than one level. A bank barn can be used to take advantage of a sloping site and allow multi-level access to the barn easily. Front of a horse barn shows multi-level entrances graded on sloped site. 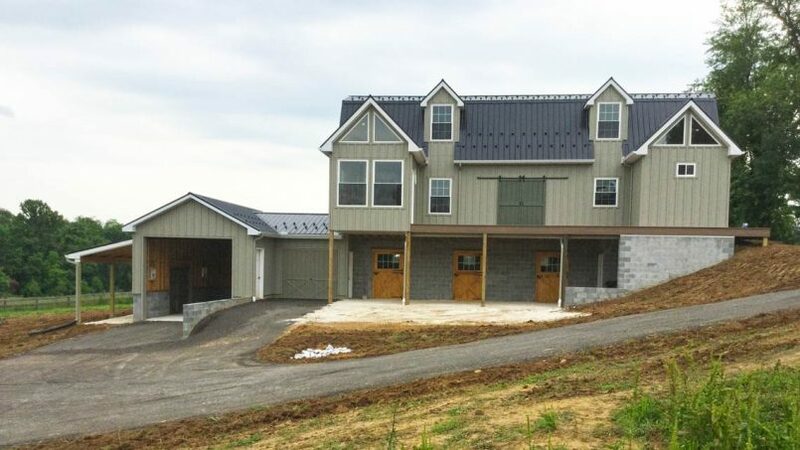 In combination with a horse barn, you may desire to have an indoor or outdoor equestrian arena. Both cases require a level site preparation and often a storm water management solution. When additional storage is required and it is desirable to keep it separate from your barn, a shed foundation of stone or concrete is an excellent solution.